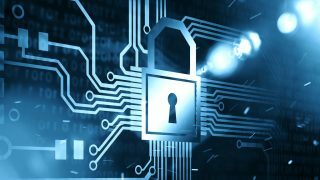 With a VPS server, you don’t need to invest in a virtual private network subscription. 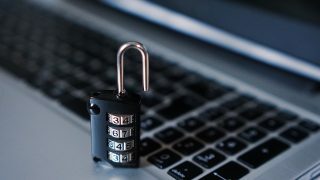 Although I have a lifetime VPN subscription with a certain provider, lots of the IP address have already been blacklisted on certain sites. This is one of the downsides of sharing IP addresses with other users. If you’re not using a dedicated VPN with a unique IP address, chances are that someone else is using that shared VPN IP address to send spam messages or carrying out some other shady activities on the internet. 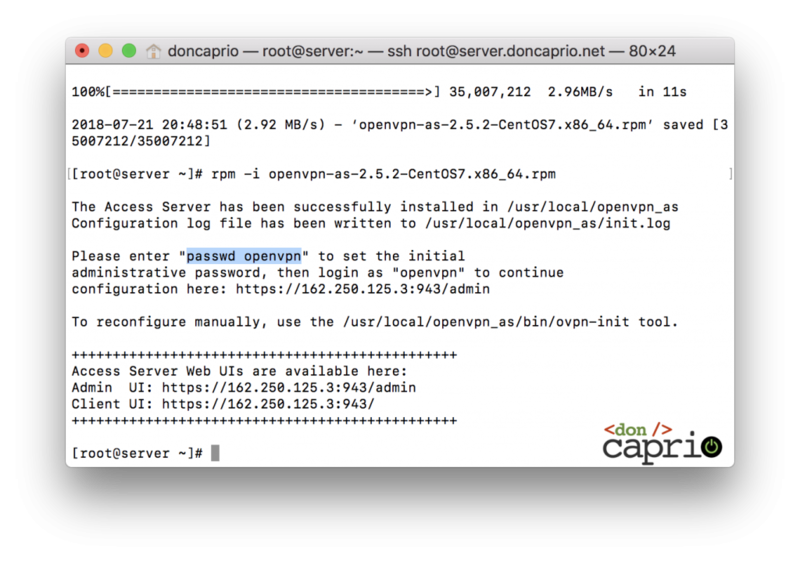 I recently decided to have OpenVPN installed on my VPS server and the installation was even easier than I thought. I should warn you that if you’re going to do this on the same server you’re using to host your website, it’s best not to share the details with anyone. You don’t want your site suspended when someone starts using your server for illegal activities and the IP address is traced back to you. TUN and TAP are virtual network kernel interfaces that need to be enabled before you even get started. 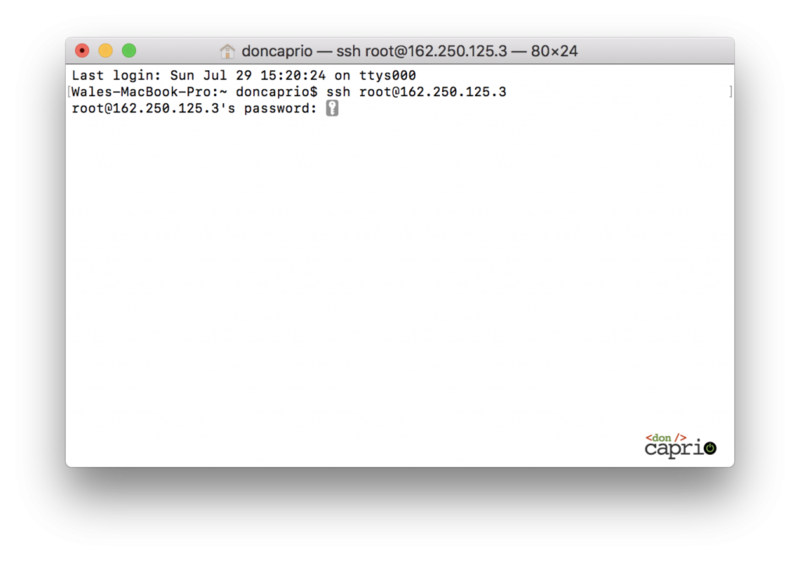 I believe you already have a VPS and you’re already familiar with using either PuTTY on Windows or Terminal on macOS. 1. 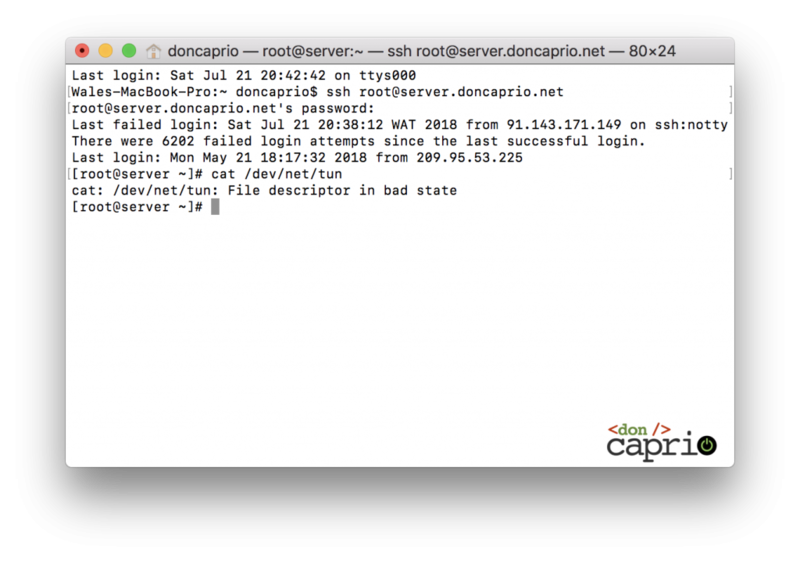 On Terminal, access your server using ssh username@008.008.008.008 replacing username with your real username and using the correct IP address in place of 008.008.008.008. On PuTTY, just type in your IP address and key in your password when asked. Anything different from this means it’s not enabled. In that case, you should contact your web host. Next, you need to download the latest version of OpenVPN to your server. 1. You need to be sure to know whether you’re on a 32-bit or 64-bit CentOS. Most web hosts these days sell 64-bit CentOS VPS. 2. 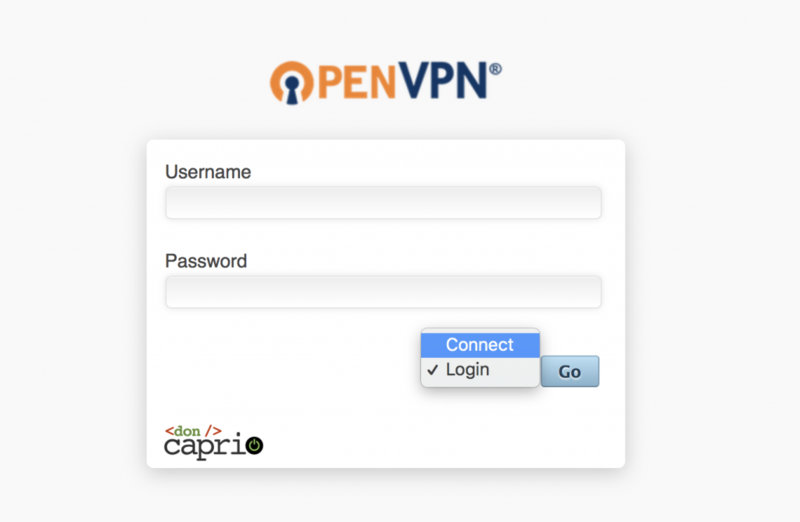 You also need to get the link to the latest version of OpenVPN. You can check the download page to get the correct link. The current version is v2.5.2. Again, be sure to get the latest link and replace before running this command. 3. Watch the window and the download should be done in a few seconds. 4. Note the name of the downloaded file highlighted in red in the image above. You’re now ready to install OpenVPN on your server. 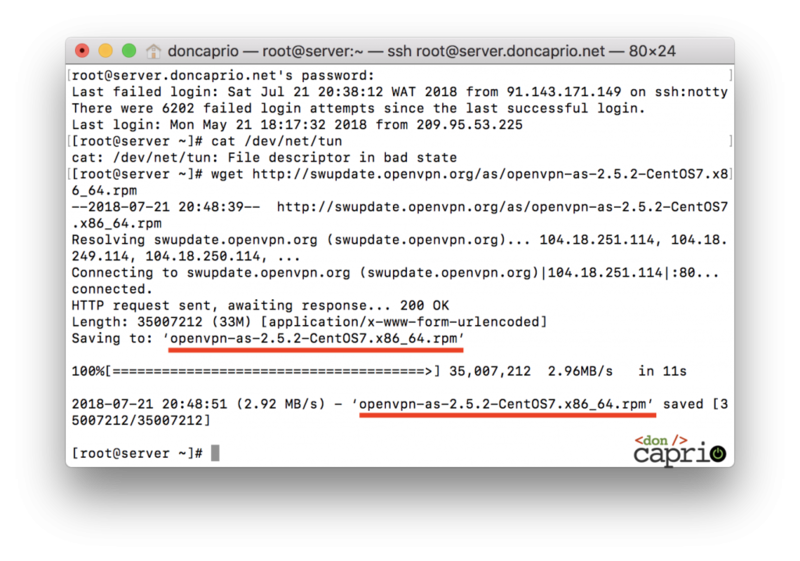 Be sure you replaceopenvpn-as-2.5.2-CentOS7.x86_64.rpm with the package name you noted in the previous step. This is important. 2. The output should look like this. You need to copy Admin UI address and Client UI address to a note. You’re going to need them shortly. You should be prompted to enter a new password. 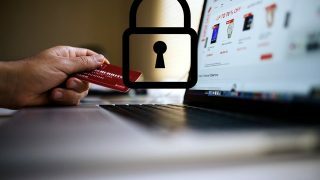 Be sure your password is complex. 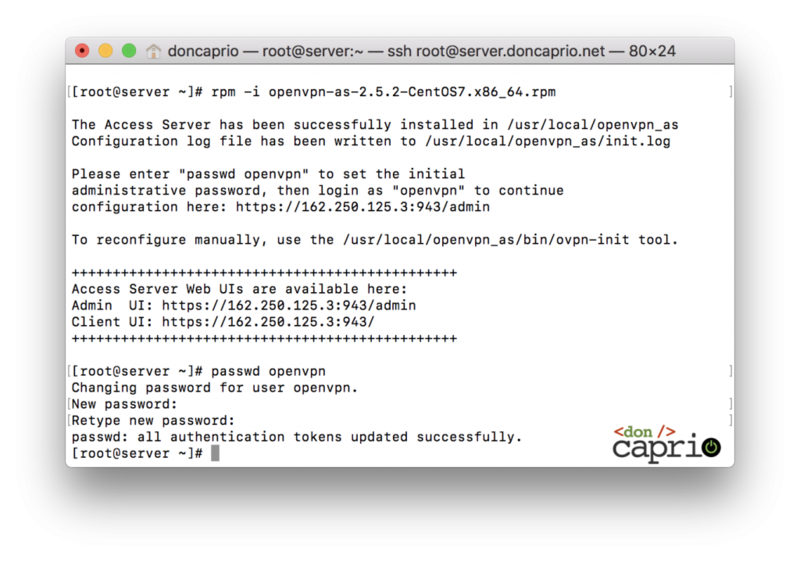 Retype the new password and you’re almost ready to use OpenVPN. 4. To confirm you got everything right, you need to paste the Admin UI address and visit. You should be able to see the admin dashboard. If you don’t know much about these things, the default settings are just fine; you don’t need to change anything. 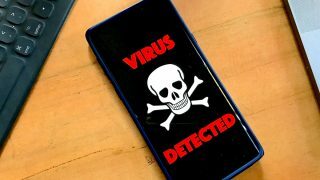 The good thing is that you can use this VPN on all your devices. To get started, visit the client UI address with your browser. If you’re using Windows or Mac, the right version is download if you select the Connect option before logging in. 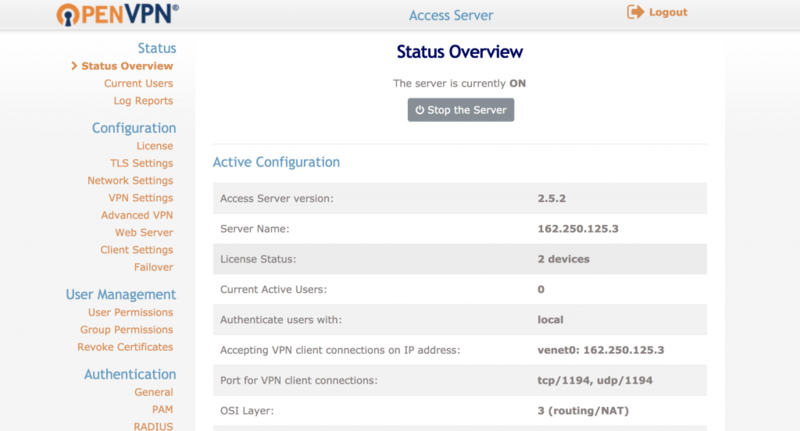 The downloaded OpenVPN client is already preconfigured. Simply install and launch. Hit connect, enter your password and you’re good to go. 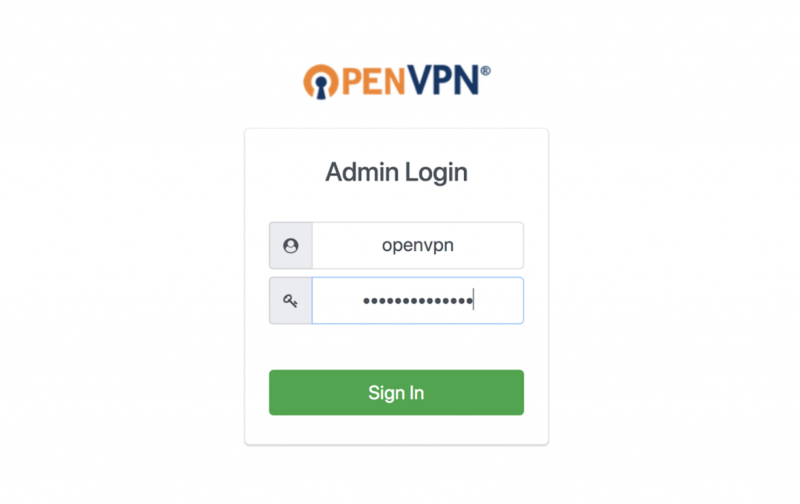 If you’re visiting this page with an Android phone or an iOS device, download one of the recommended OpenVPN clients on your device. 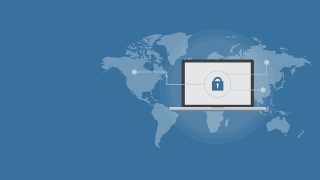 You should also go back to the page to download your preconfigured OpenVPN profile.